If you’re considering a new solar PV system then you should definitely consider using SolarEdge technology. If you have an existing solar PV system, and particularly if you are on one of the original, more generous Feed in Tariffs, upgrading to SolarEdge may be beneficial to you. We are proud to be a SolarEdge Advanced Installer. Please be aware that some companies are mis-selling SolarEdge by overstating the improvements to yields and charging massive amounts for doing so. Click here for further information. 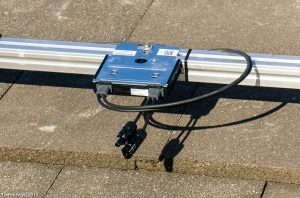 SolarEdge Technologies Inc was founded in 2006. The company has developed a superior approach to converting the output of solar panels into the useable mains electricity that is required in the home or workplace. The vast majority of solar PV systems use what is known as a ‘string inverter’ This means that the solar panels are connected together in ‘strings’ which are then plugged into the inverter. Since the solar panels are connected in series to form strings, the same current must flow through all the panels, so the solar inverter continuously adjusts the electric current in the system to find the average optimal working point (called Maximum Power Point Tracking, or MPPT) of all the panels. As a result, potential power may be lost whenever a mismatch exists between panels. These mismatches between panels is unavoidable and comes about due to manufacturing tolerances, uneven shading due to trees and neighbouring structures, uneven soiling and slow moving clouds. The SolarEdge system solves these problems by placing a ‘Power Optimiser’ behind each solar panel. Each optimiser contains its own MPPT which continually seeks out the optimal voltage and current combination of its solar panel, ensuring that each panel gets to perform at its best. As the MPPT process is done by the optimisers, the inverter is simpler than a standard string inverter, which means that it is inherently more reliable. An additional benefit of Power Optimisers is that the owner and installer can monitor each and every solar panel’s performance, providing an unsurpassed insight into the health of the PV system and ensuring timely detection of faults or other problems, leading to minimum loss of yield. 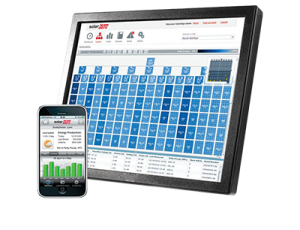 Click here to view the monitoring of a SolarEdge enhanced site. New for 2016 is the SolarEdge HD-Wave inverter. Previously all inverters used electrolytic capacitors in their design, which have a lifetime of a little more than ten years. The HD-Wave inverter uses thin film capacitors which last much longer. It also uses superior components to produce a clean sine wave, meaning fewer filtering components are required, further enhancing reliability. 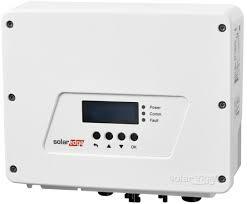 SolarEdge inverters have a 12 year warranty as standard, compared to most other inverters having a 5 year warranty. This warranty can be upgraded to 20 years for just £150.